If you are looking at selling on eBay and earning money, here are some exciting ideas to acquire products. as an individual seller to clean out the unused products lying around the house. by building your own business by sourcing products. by expanding your existing business. Ensure to read eBay’s listing policies before you start selling. Learn more. To sell as an Individual Seller, you can start by selling items lying unused around the house. Click here to find out what items in your house can you sell on eBay. If you are looking at building your own business, you can start by purchasing products in bulk and reselling them on eBay. Bulk purchases of interesting products from dollar stores / garage sales / discount outlets and flea markets. Buy from wholesale lots on eBay and resell these products. Take your existing offline business online and get buyers from around the world. Simply list some products from your retail shop on eBay and get a buyer base bigger than that in your town! Starting a business on eBay is easy and costs less; all you need is a computer with an internet connection to sell the products you have! Find out what’s in demand on eBay. 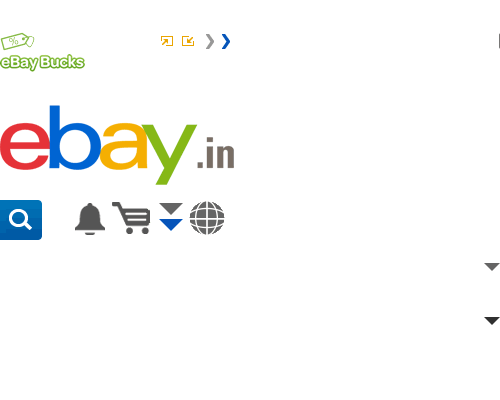 Visit the eBay Pulse to view popular searches on eBay India.